Sound monitoring is not a child's play and you mustn't treat it like that either. It's a serious business in the music world, and no matter how much of underdog or rookie you're, you should own the best set of headphones in order to give the best performance in your field. Now, it's not a big deal for a musician living in a Hollywood mansion to spend fortunes after expensive, meticulously engineered headphones for mixing and monitoring stuff, but not everyone's that lucky, are they? We have to settle for a cheap deal. However, just because you have to compromise on the budget, doesn't mean you can't get your hands on splendid stuff. Yes, plenty of quality headphones are available that works great for monitoring and that all under 100 bucks! We picked out the best studio headphones under 100 dollars to save you the hard work of searching through hundreds of names. And you know, not all 'studio headphones' are good enough to meet your monitoring needs, most of them are really crappy and you mustn't risk your cents for those crappy ones. Ten of the best studio headphones under 100 bucks have been enlisted here, so stay certain about the quality; you won't wind up with something horrible. Also, if you have any question regarding the purchase, check out the answers below for further assistance. 1. 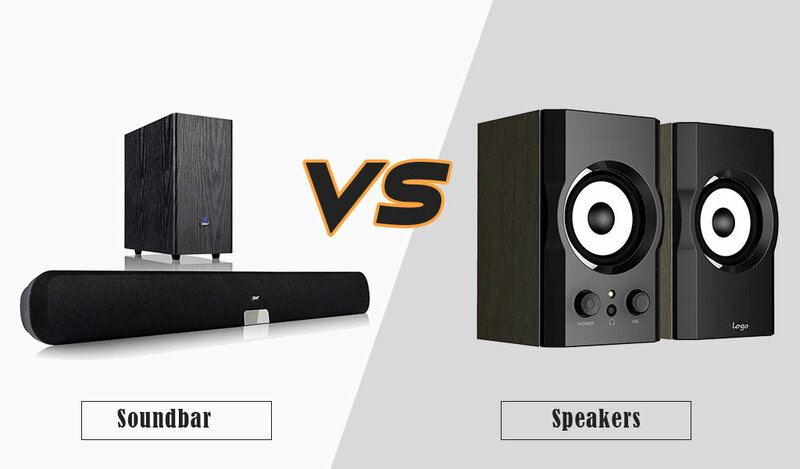 What's the difference between regular headphones and studio headphones? Ans. One of the most asked questions indeed. What makes them so different and why? Basically, it's the purpose that divides them in general. Regular headphones are good for listening to music, but not good enough to handle studio business. Monitoring or mixing of tracks demands different type of settings. The response of the studio headphone sounds flat compared to regular headphones. With regular headphones, the frequencies sound a bit fabricated. Moreover, studio headphones are designed keeping hour-long monitoring in mind. So, they're more comfortable than other headphones. 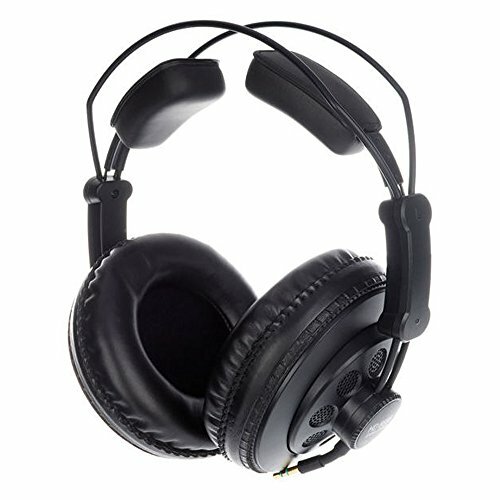 If you want a noise-free environment with proper sound isolation, closed-back studio headphone is the equipment for you. Regular headphones usually don't include any feature for that purpose. 2. Why does the response sound flat with studio headphones? Ans. To execute a task in the studio, accuracy is a must. Every detail needs to be on point and there's no alternative to that. That's why studio headphones are engineered to deliver a flat response. What happens with regular headphones, frequencies are boosted in order to sound great. However, it doesn't work the same way with artists and recording engineers. For the sake of producing/mixing sound, they need to hear an accurate response, and this is how the studio headphone works. It delivers the exact response without boosting. 3. 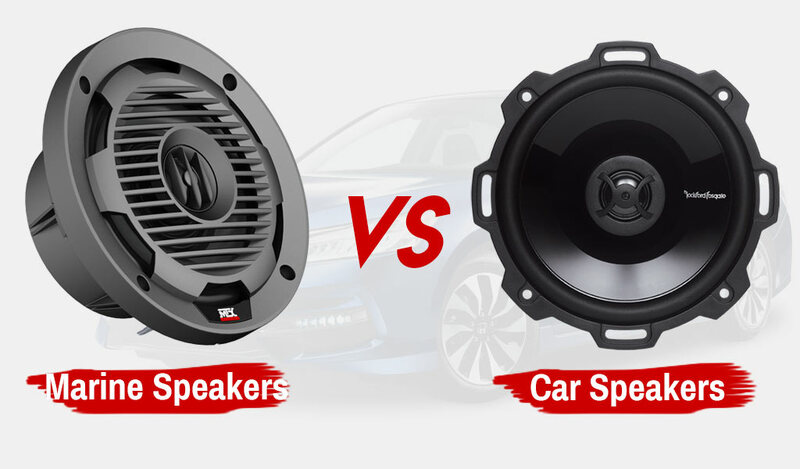 Why is it necessary to learn the frequency response range of a particular driver? Ans. You won't be able to hear a certain note using a particular device if it's not within the range. The range gives you an idea of the possible outcome, this way you get to know whether the device will be able to meet your audio needs or not. A: Sensitivity is a sound unit used for measuring the loudness limit of a certain device. With the help of this unit, you will be able to find out how loud a particular headphone will get at a certain volume level. Ans. Impedance is a unit that is used to determine whether a device will be compatible with another system or not. The headphone's impedance rate tends to be higher than other systems, and there's a reason for this. The impedance rate of a system can be 8 ohms maximum, or lower for better response. On the other hand, to suit the system, the impedance rate of a headphone needs to be increased by several times. 6. What's the benefit of using a coiled cable? Ans. There's nothing extra about coiled cables; it's just that this cable can extend to a great length when needed, otherwise doesn't concur much space. A coiled cable with the same length as a straight cable gets longer if stretched. 7. Why is sound isolation necessary for monitoring? Ans. Studio is a noisy place and you need a sound environment for accurate monitoring. The feature of sound isolation provides you with the privilege of blocking external sound from entering the ear cups, thus give you some noise-free, calm space; perfect for subtle mixing of frequencies. 8. 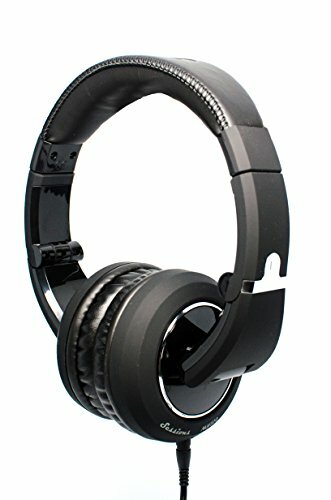 Can a regular headphone serve for monitoring purpose? Ans. Of course not. There's no way a regular headphone will be capable of pulling off a studio headphone's characteristics. It's just not built that way. Monitoring requires delivery of flat, non-fabricated response, which ain't possible with regular headphones. Moreover, regular headphones aren't built to use for hour-long sessions, so they aren't comfortable enough. There's a list of things that makes the regular headphone an improper candidate for studio work. So, it's not possible for a regular headphone to serve for monitoring purpose. We're talking best studio headphones under 100 dollars, so you have every right to question our selection method in order to figure out whether you're doing the right thing or not. And we appreciate your concern. As it has already been stated a couple of times, sound monitoring and other studio works require crucial detailing of frequency response. So, our main target was the sound quality. We checked the arrangement those headphones hold for sound reproduction. The headphones below were selected based on their driver's quality, sensitivity, frequency response range and other technologies used for the said purpose. Monitoring is not an easy job. It takes hours of work to make a track right. You need a set of headphones that won't feel irritating after a while. Moreover, you don't wanna put something on that's not comfortable. Working is never fruitful without comfort. So, our next goal was to pick something comfortable. We gave priority to padded headbands and ear cups, because they feel the best over the head, as you can keep them on for hours without feeling annoyed or uncomfortable. Few headbands here don't include padding, we added them based on their lightweight structure. 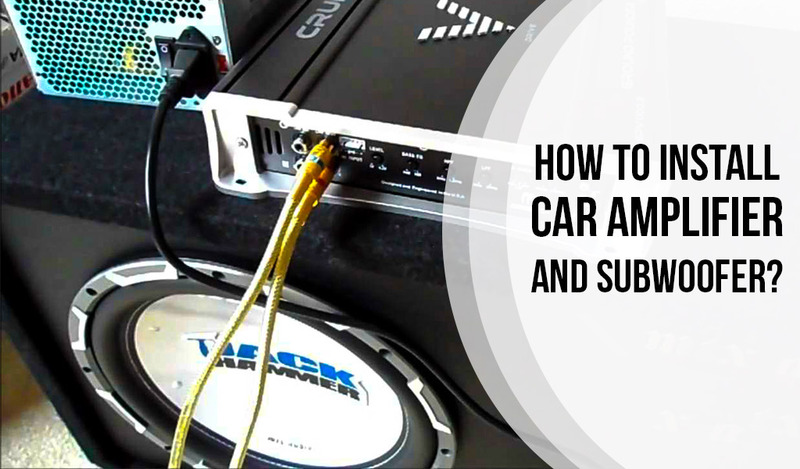 Sound isolation is a must when you're working in a studio; let it be at home, garage or anywhere else. Padded ear cups of closed-back headphones work effectively for sound isolation, so that's another benefit right there. However, we included a few semi-open headphones as well. 'Cause sometimes you need to hear what's happening around. What's the point of purchasing something fragile in general? We searched for the most rugged design so that you can use it everywhere in every kind of situation. Most of the headphones here are collapsible, and it's for a noble reason. Collapsible headphones are great for portability and save more storage space than stiff models. And our final attribute was the cable. We kept both coiled and straight cables on the list for your convenience. Pretty much all of them includes 1/8" to 1/4" adapter since this is the most preferred one. So, there you go, a complete insight of our sorting method. Now you know all the criteria we went to pick the best studio headphones under 100 dollars, and hopefully, these are the exact attributes you were willing to see in your recommendations. 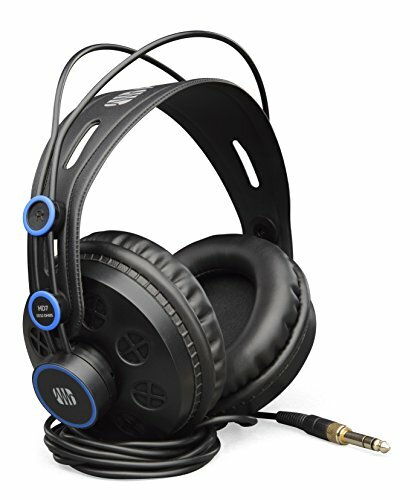 Speaking of recommendations, ten of the best studio headphones under 100 dollars have been reviewed below for your assistance. Check them out to see which one suits you the most. One can't compromise on the headphone's quality when it comes to good monitoring. You need something splendid in order to ace your professional tasks. 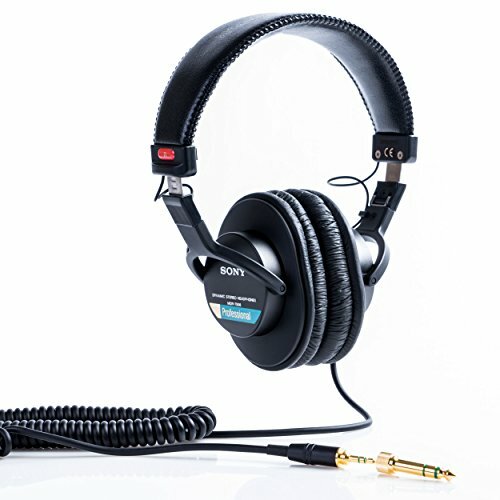 Considering this, Sony MDR7506 Professional Large Diaphragm Headphone sounds like a fantastic option for you. The headphone comes with neodymium magnet which already explains the splendid quality of the item. Neodymium magnet provides with a similar response to other magnets in a smaller size. That's right, it doesn't require much space like others, but still manages to deliver the same output. The strength can be felt from the built-in 40mm PET driver as well. The driver unit is committed to bring you distortion-free, high-efficiency sound. This headphone can handle up to 1000mW of power. It works with 63 Ohms impedance and 106dB sensitivity. Covers a frequency response range of 10Hz-20kHz. When it comes to user convenience, the headphone's design speaks for itself. It features padded headband to reduce the band's pressure over your head and make it more comfortable for regular usage. And the ear cups are structured exactly the way they should be to provide with utter comfort. 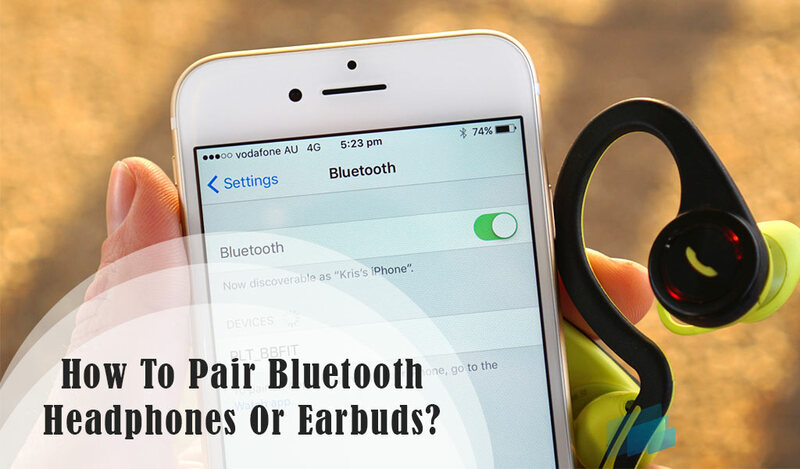 They followed a closed-ear design which benefits the user with two advantages; these ear cups create a comfortable seal around the ears, and external noise is completely out of the zone due to the sealed state. Another fantastic thing about its design is, this headphone folds up for storing and carrying convenience. Comes with a carrying case for the mentioned purpose. For cables, it includes non-detachable 9.8 ft. cord with gold-plated plug located in the end. 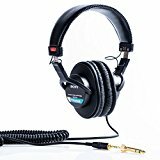 Considering the length, you can already understand that this headphone is all about not getting in the way of your work, which makes perfect sense when it comes to sound monitoring and other professional purposes. It also features Stereo Unimatch plug to provide you with the liberty of using both 1/4" and 1/8" applications. Sony is an honored name in the sound market and Sony MDR7506 Professional Large Diaphragm Headphone is here to carry on their legacy. Whether it's for the model's amazing arrangement for quality sound or comfortable design, this headphone deserves appreciation all the way. We know sound monitoring and audio crafting is no game for the professionals out there. It's a serious business, and you need something high quality that's capable of withstanding all the challenges. Status Audio CB-1 Closed Back Studio Monitor Headphone has been created exactly for this purpose. The 50mm drivers included inside the headphone are engineered keeping utter professionalism in mind. 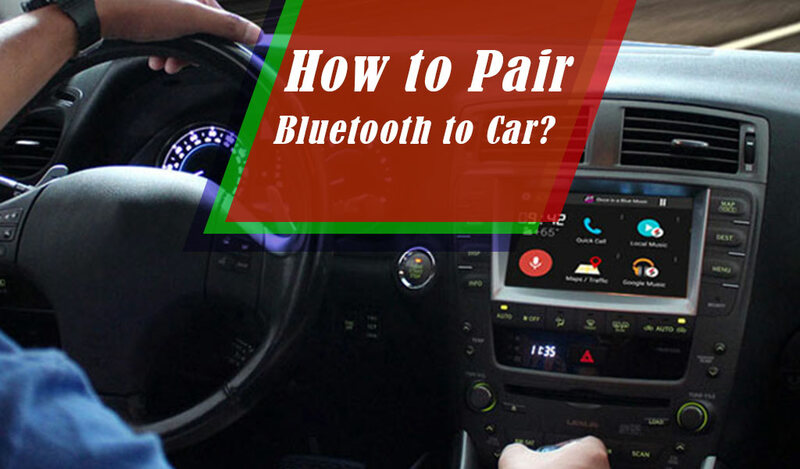 Whether it's being used for singing, voice-over, audio-mixing or just listening to music in free-time, these drivers don't discriminate; provides with same splendid service for everything. The headphone follows a comfortable, user-friendly design. It uses a padded headband to lift the extra pressure off your head. Moreover, the headband is adjustable, which makes it a perfect fit for all head sizes. The ear cups provide with a tight, comfortable seal around the ears, thanks to their overstuffed memory foam padding and perfect spherical design. They can be folded to help the headphone collapse and form into a more compact sized piece for carrying and storing convenience. It features a straight cable and a coiled cable, both are detachable and include twist-lock function. As we stated above, professional headphone use is not a game. Keeping this in mind, this headphone is structured ruggedly. Perfect for rough usage all day, all night. So, there you have it, a professional studio headphone for your professional purposes. Status Audio CB-1 Closed Back Studio Monitor Headphone brings you the privilege of studio utilities without costing a vast number of bucks. Literally a winning deal. Even a rookie SoundCloud artist deserves to own the same monitoring privilege like Coachella performers; because they might be minors, but their work isn't. Everybody wants a studio headphone to fulfill their valuable purpose and they should get the best one for this, no matter what. PreSonus HD7 Professional Monitoring Headphone is our next suggestion keeping artist's dedication in mind. It's created to serve for every task related to audio-mixing, recording and sound monitoring. The headphone includes neodymium drivers. You know what that means, a similar response to other magnets, but in a smaller size. Besides, since the driver it uses is of high resolution, the power handling level is more intense. The most fascinating thing about this headphone is the patented chamber that comes along. This semi-open chamber is precision tuned, which allows for the reproduction of extended bass response, like a regular high-quality subwoofer. It follows an ergonomic design that every user will find convenient. The headband is not padded. Don't worry about that. It's so lightweight, you won't feel a thing over your head! I mean, yeah, you'll feel its presence, but not in a painful way. Again, it's adjustable, so this headphone is intended clearly for everybody, including you. Doesn't fit on the first try? Adjust and see the result! Ear cups are the same way! They're padded to create a tight yet comfortable seal around the ears. Because of this, the response sounds more intense and the external noise can't get inside. The whole thing is designed keeping hour-long monitoring and mastering sessions in mind. Now, this headphone might seem like a fragile piece due to the whole lightweight, comfy vibe. However, remember, the manufacturers are completely aware of its purpose, and it's not a children's toy. The headphone is rigged enough to go through all rough circumstances possible. It includes single-sided cable for wiring. The 9ft cable is detachable. Considering everything above, it's evident that the headphone's features actually do justice to its name. PreSonus HD7 Professional Monitoring Headphone is a name you can always look forward to for your professional monitoring needs. When it comes to regular headphones, you can always overlook the arrangement it has for the response, but that's not a choice for studio headphones. For most people, it's a serious business, which requires serious management. 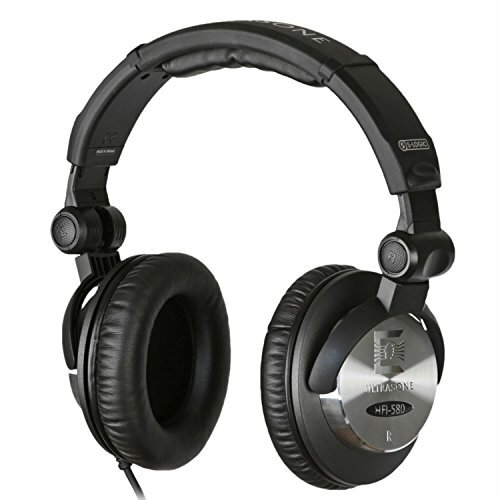 Ultrasone HFI-580 S-Logic Surround Sound Professional Closed-back Headphone is all about serious management. Having doubts? I guess you should check out its features first before going with benefits of doubts. The headphone includes 50mm Mylar driver that's totally invested to the idea of professionalism. Splendid isolation and fascinating high volumes are the best attributes of this built-in driver. It works with sound pressure level (SPL) 101dB and 32 ohms impedance. 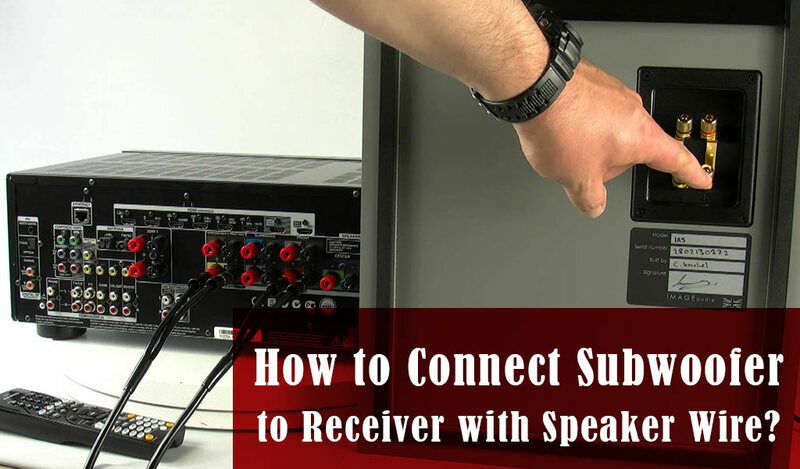 Covers a frequency response range of 10Hz-22kHz. What makes this headphone ten times better than other models, is the arrangement it holds for listener's safety. Yes, headphones are built to send a loud response to your eardrums directly, but people hardly ever think of all the possible hazards that come along. The loudness remains intact, while the SPL levels are decreased by some decibels to keep your ears protected. The experience is more sophisticated and natural because of the S-Logic(TM) Natural Surround Sound technology it's engineered with. Also includes ULE technology with MU Metal shielding that takes care of the radiation problem by lowering it to a great extent. Padded ear cups provide with utter comfort for longer monitoring sessions. The center of the headband is padded as well. It comes with a carry bag for storing and carrying privilege. Also, the package features gold-plated screw adapter. The cable includes a 1/8" gold-plated plug in the end. As you can see, the features above explain enough about Ultrasone HFI-580 S-Logic Surround Sound Professional Closed-back Headphone's purpose. It's packed with serious attributes for serious management. Professional studio-like monitoring experience at home? Not impossible when you have something like AKG K240STUDIO Semi-Open Studio Headphone. For a long time, audiophile is the name might sound familiar. And if it does to you, don’t worry; it's the latest upgrade of the popular classic model with the same name. That's right, carrying the same legacy with better modifications. It works with 55 ohms low impedance. Covers a frequency response range of 15Hz-25kHz. The greatness of this headphone lies within the ear cups it features; in fact, this is where all the magic happens. The ear cups include an acoustically tuned vented enclosure with XXL transducers. These transducers are a new addition to the model and the main reason behind its astounding performance. This headphone is equipped with the company's patented Varimotion diaphragm. The diaphragm's thin, elastic edges help to reproduce high-quality profound bass, while its thicker center takes care of subtle mid-range and treble production. The response becomes more spontaneous and life-like due to the impact the transducer has on it. And it's not just the transducer or the diaphragm that makes this headphone so great, the design plays a splendid role here as well. The ear cups come with a gimbal-type suspension which allows them to fit ears of all shapes and sizes, and the padding around provides with utter comfort for long time sessions. The headband is adjustable and follows a flexible steel structure that helps with bending when needed, you can bend and adjust it to fit your head perfectly. Moreover, this design gives you the privilege to use the headphone for single-ear listening. The headphone is made for rough usage. The band will bend, ear pads will get dirty, but the rigged structure will stand strong in all circumstances. 3m replaceable cable is included, with gold plated plugs on both ends; along with 1/4" to 1/8" screw-on adapter. It comes prepared to hand you that desired experience you've waited for your whole life. Using AKG K240STUDIO Semi-Open Studio Headphone, you will be able to fulfill your appetite for professional studio level monitoring right at your home studio. There's a huge difference between sound monitoring and just listening to music or a podcast episode. You can skip a lot of stuff when it's only for entertainment; however, monitoring requires perfect detailing of everything in order to get the job done. Sennheiser HD280PRO Headphone is manufactured to bring your attention to all the crucial details, the reason why it's been enlisted here. This closed-ear studio headphone's best attribute is the arrangement it holds for sharp monitoring. The frequency reproduction is linear and subtle. The impedance rate is good enough for both monitoring and casual listening. Because of extended frequency response, everything sounds more spontaneous with this headphone. You know, how irritating unnecessary noise can get in times; this is where this headphone comes in to save the day. It can dissipate up to 32dB of external noise to give you enough room for proper monitoring. It includes padded headband and ear cups for the user's convenience. The lightweight structure is perfect for long time use. The headphone's ear cups follow a closed-ear design, which allows them to form a comfortable yet tight seal around the ears that ensures accurate sound delivery and prevents external noise from going inside. Another fantastic thing about its design is, the way the ear cups are structured to save space. Yes, they can collapse and rotate in times. It includes a 9.8ft coiled cable that can be detached when needed. Your journey with this headphone is gonna be incredible since the cable and all of the paddings are replaceable. Replace them and renew the experience again and again. Judging from the arrangement it holds for subtle monitoring and comfortable experience, Sennheiser HD280PRO Headphone is definitely worth the investment. 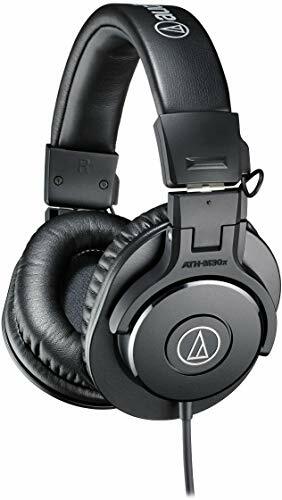 Audio-Technica ATH-M30x Professional Monitor Headphone? More like 'this is exactly what I dreamt of' headphone! Yup, this is exactly what your reaction is gonna be once you're done seeing all the features. This headphone can handle up to 700mW of power. It works with 47 ohms impedance and 96dB sensitivity. Covers a frequency response range of 15Hz-20kHz. You can't skip subtle details while mixing or monitoring stuff, and Audio-Technica ATH-M30x Professional Monitor Headphone comes completely prepared for that. It features 40mm driver with copper-clad aluminum wire voice coils and includes rare earth magnets to ensure powerful sound reproduction. Since mid-range frequencies often happen to get ignored between the waves of high and low frequencies, this headphone is tuned in a certain way to deliver high definition mid-range notes along with smooth detailing of everything. The headband and the ear cups are padded to ensure utter comfort during your long monitoring and mixing sessions. The ear cup's circumaural design helps to block out external noise, ideal for loud environments. This is one of the best models when it comes to portability. The ear cups collapse when needed to save space, this feature helps with carrying as well. A carrying pouch is included for more convenience. It features 9.8 ft. straight cable with single-side exit and 1/4" screw-on adapter. Engineering and design, both of these need to be on point in order to create the perfect studio headphone. Audio-Technica ATH-M30x Professional Monitor Headphone is a brilliant example for that. Wanna start your Soundcloud career with a professional touch? CAD Audio The Sessions Professional Closed-Back Studio Headphone is waiting for your call. This headphone is packed with incredible attributes to bring you the best of both worlds. It works with 50mm High Gauss drivers. Yes, the particular driver used by a number of professionals in live shows and recording sessions. When we're talking professional business, there shouldn't be any compromise on the delivery quality of different frequency types, and the manufacturers of this headphone are well aware of that. It functions to deliver clear, smooth, high-quality bass, mid-range, and high frequencies; and the response sounds way better than most studio headphones out there. When you're in the middle of a concert, live show or a loud environment, the ambient sound can become the sole reason for distracting your mind from work. This headphone is designed to provide you with the privilege of high-quality passive noise reduction, thus sound isolation. Ear cups and the headband, both are padded for your comfort. You're allowed to replace earpads when needed; it includes two sets of them, leatherette and velvet. 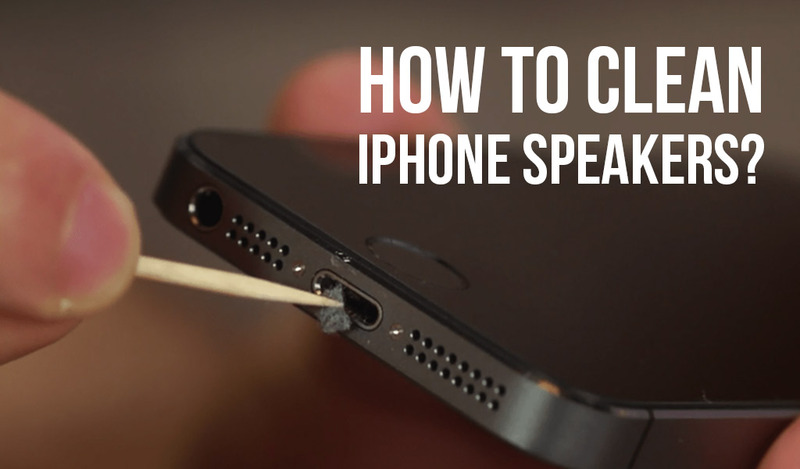 And the choice is not limited to ear pads only, you have the liberty to replace the cable as well. Straight and coiled, both types of cables are included for use. The list of all the famous artists who have associated with this headphone is huge. Come on, CAD Audio? High Gauss driver? Outstanding frequency response? Splendid sound isolation? 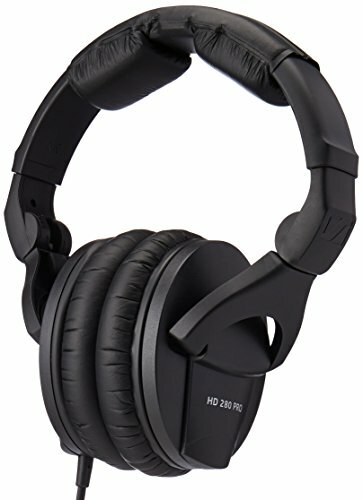 Replacement choice for ear pads and cables? Every feature is literally chanting its name! CAD Audio The Sessions Professional Closed-Back Studio Headphone is that incredible of a headphone! Everybody wants everything in their home studio to be perfect like a professional studio, but you know, that's not possible for various reasons. Most of the times it's the budget or some of the required stuff that is out of your reach. We enlisted few of the best budget studio headphones here; however, we gotta admit, that's still too much for a lot of customers and we have to add something for them as well. 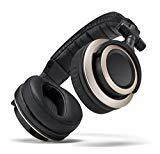 Good thing is, some suggestions have already been mentioned above, but you can always check out Superlux HD668B Dynamic Semi-Open Headphone for another choice. Superlux HD668B Dynamic Semi-Open Headphone is one of those budget headphones that have been manufactured incredibly to give you the professional-studio like experience right at your home. Its performance will make you feel like a professional artist, such professional touch in everything. Frequencies are distinguished thoroughly for monitoring convenience, the treble sounds smoothly spontaneous. About bass, it does two things to deliver quality low frequencies. 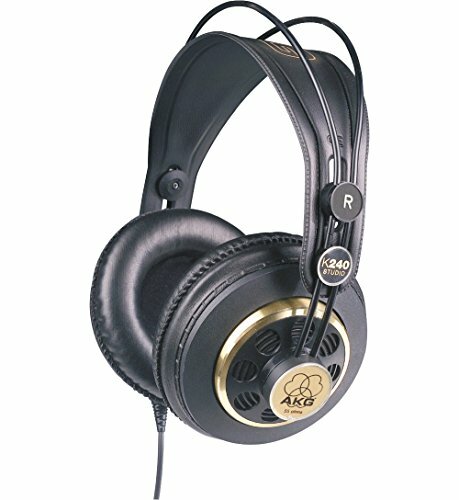 First of all, eliminates unnecessary resonance that usually gets in the way of signal transition; and secondly, works to reproduce deep, profound bass response which is a unique attribute of quality headphones. Its design needs to be appreciated too. It follows a structure that's rigged yet comfortable. The headband might not seem very comfortable, but it's lightweight and mechanical pressure of the headband has been optimized to provide you with utter comfort when using the headphone for hours. On the other hand, no matter how comfortable it feels over the head, the rigid structure is sturdy enough to handle all sorts of rough situations. Two detachable straight cables are featured for your convenience. They differ in size; the 3 meter one is the long one and it's intended for serious monitoring tasks, while the 1-meter long cable serves for casual purposes. The choice also gives you the liberty of replacing cable anytime you want. Also, you can link them together to make a longer medium. In brief, Superlux HD668B Dynamic Semi-Open Headphone is a budget studio headphone that comes prepared with splendid features to fulfill all your desired studio monitoring needs right at home. In fact, with this headphone, you get more than you can ask for and that's all within a reasonable price. You know, one of those times, when we really wish for an item to be so good as its out-of-reach, expensive, high-maintenance counterpart, and we actually stumble across something similar? 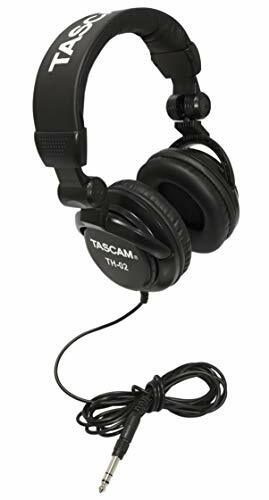 Well, Tascam TH-02 Closed Back Studio Headphone is that item for you. This headphone is literally everything one would dream to have for fulfilling their amateur monitoring needs. It's equipped with great sensitivity and frequency response range to bring you the best of all tunes. You get to experience profound bass, incredibly detailed mid-range and naturally smooth treble all at once, and better than most other studio headphones. And the same goes for its design, constructed for the most convenient experience. The headband is padded and ear cups are stuffed with plush cushion to provide with utter comfort for hour-long sessions. Besides, you have to appreciate its flexibility. Each ear cup can rotate up to the angle of 90˚ and the headphone folds for the sake of portability and storing convenience. It uses 9.8ft cable with 1/8" to 1/4" Snap-On adapter for connection. Design and sound quality, this headphone rocks every way. What once seemed impossible in a low price, has now become the reality with all the splendid models like Tascam TH-02 Closed Back Studio Headphone. The most crucial part. Yes, the headphones above have been reviewed thoroughly to give you a clear insight of the products. Still, that's not enough to shop for studio headphones, at least not for some customers. Let's face it, we can't expect everyone to have a proper understanding of studio headphone's features, let alone make the right decision. There's a lot to understand to recognize the perfect model, and in order to help you with this, we have a few tips. Yes, first and foremost, learn your units. And we're talking about power handling, impedance, sensitivity and frequency response range. Their measurements differ from model to model. Once you're done learning how these units work, you'll be able to define a headphone's quality just by measuring its units. They give you a good idea of the possible outcome. It depends on the arrangement a certain headphone holds for sound delivery. Check out the headphone's driver and magnet material for a thorough insight. Comfort plays a big role here. We're talking studio job, which means hours and hours of work. You need something comfortable to keep on your head for that long. Always go for padded headbands and ear cups. Although a lot of headphones don't include padded headbands, instead they use lightweight materials to eliminate extreme pressure. You can use them as well if you want to. Just remember, the headphone should be comfy enough for hour-long sessions. Sound isolation often appears as a prime necessity when you're working in a studio. You can't allow external sound to get between your work, and this is when you need something to block the problem out. However, you can't always isolate yourself, so you should be open to other options as well. Keeping this fact in check, studio headphones come in three different types. Closed-back, semi-open and open-back headphones. The ear cups of closed-back headphones form a tight, sound-blocking seal around the ears, which results in utter isolation. External sound can't get inside and the only sound you will hear is the sound delivered by the headphone drivers. Open-back headphones do the exact opposite of closed-back headphones. Since the ear piece's back is open, there's nothing to block external sound from going inside. In fact, the sound is able to be transmitted from both ways. However, not a good choice for recording. Semi-open headphone may allow some frequencies to get in or go outside, but not as independently as open-back headphones. The best feature of this headphone is the arrangement it holds for sound delivery, the bass is often extended. You have three options, choose carefully. Another important aspect you mustn't forget about. The headphone should be comfortable yet durable. And it's not just about studio headphones, this condition is applicable to all headphones. Your headphone should be capable of handling rough scenarios. Go with the sturdy or rigged structure to ensure longevity. In this case, you might wanna ignore the lightweight ones as they tend to break easily. By portability, we mean the arrangement it holds for portability. Lots of headphones include collapsible or rotating ear cups that come handy when you're thinking about taking it places. Also, the folding attribute helps with saving space for storage. Some headphones feature carrying cases, you can pick them for more convenience. However, it's not mandatory for the headphone to have collapsible or rotating ear cups for the sake of portability. Yes, we're talking about cables. 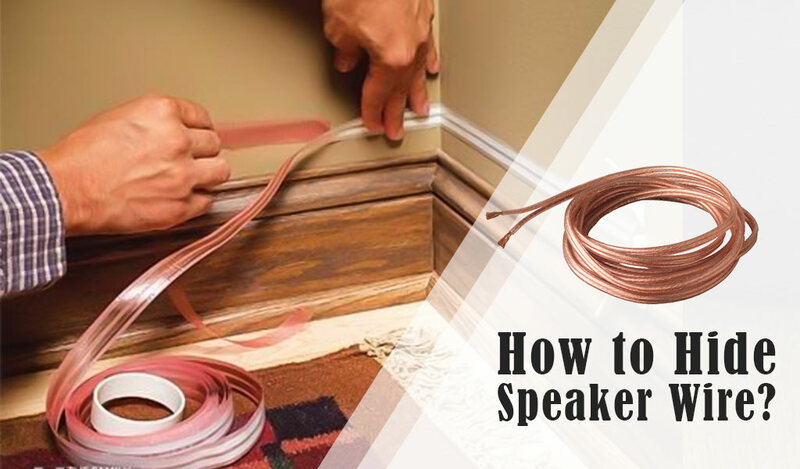 The fact is that the cable has to be pretty long; doesn't matter whether it's coiled or straight, the choice is up to you. You might pass with any sort of headphone when it's just about casual listening; but monitoring, mixing and mastering require sharp attention to every detail. Now it's kinda difficult to find the perfect headphone for this job under 100 dollars, especially if you're not aware of everything you need to know in this aspect. And this was the sole reason behind this article, to help you with every bit of information you need to make the right choice. We made a list of 10 best studio headphones under 100, answered some frequently answered questions and put out a guide to help you make the best decision. 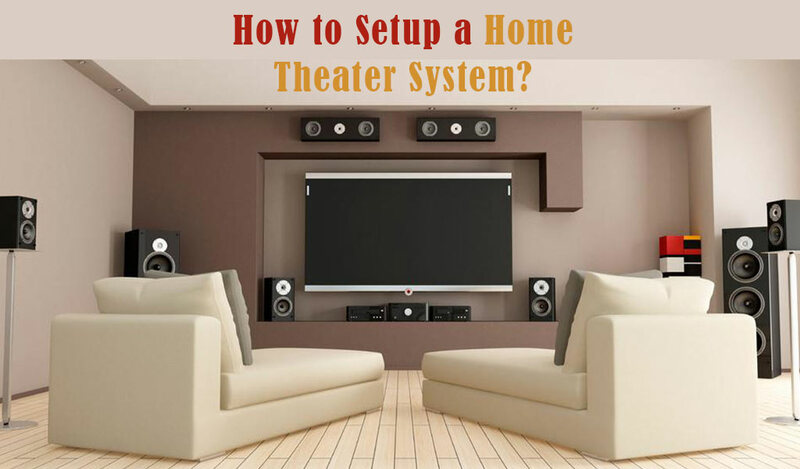 We hope this article was helpful enough for making the right purchase.